On this episode of show the guys welcome the well-traveled and extremely funny comedian, Carlos Rodriguez! Carlos has been ascending through the Sacramento comedy ranks for a few years now, branching out to do shows in the Bay Area, San Jose, the 209, and even the Ice House in LA among other places, but his journeys only begin there. Carlos is also a world traveler, venturing off to far away lands for weeks at a time. Listen as the guys not only talk comedy and Carlos' past, but also what it's like to break out of the local bubble, and see what the rest of the world has to offer. We also speak about podcasting, and Carlos' podcast and it's many incarnations. To check out more Carlos Rodriguez, look for him online on Facebook and Twitter, and check out his podcast, Calculated Spontaneity! We explore the creative mind by talking shop with creators from a vast array of mediums. Actors, Writers, Comedians, Artists, Podcasters, Wrestlers, etc… we talk to them all! 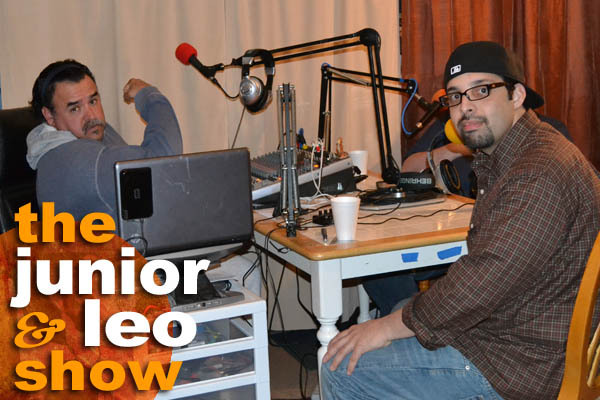 Copyright 2012-2013 Junior & Leo Productions.